Here at Farmers Guardian we want to encourage you to get involved with the campaign using the hashtag #ProudToFarm across every social media platform. FG boasts the biggest social media platform in UK agriculture, with more than 150,000 Facebook likes and 47,000 Twitter followers and has a monthly reach of 3.3 million Facebook users and more than 1m post engagements each month. So whether it is showcasing the morning milking ritual, how best to prepare a sheep for the showring or simply sharing farm selfies, the hashtag will be a one-stop shop for championing the industry on a global scale. As our success over the past four years with our livestock worrying campaign Take the Lead has shown, we believe it is key we take farming’s message from the pages of FG to the wider population. This is where our huge social media reach comes in and where you can play such a pivotal role. There will also be a section on our website urging you to write to your local MP and explain why farming must not be ignored in the ongoing Brexit debate. For more information, go to fginsight.com/proudtofarm, or search #proudtofarm on Twitter. 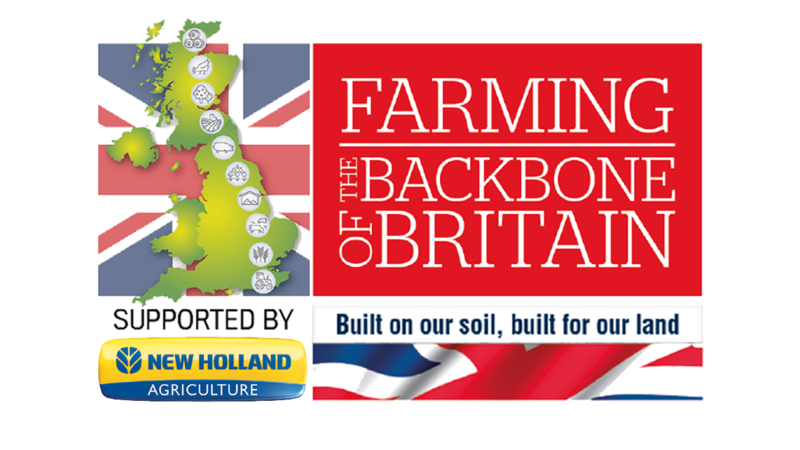 A new Farming: The Backbone of Britain section will run every week for the next year towards the back of the publication.